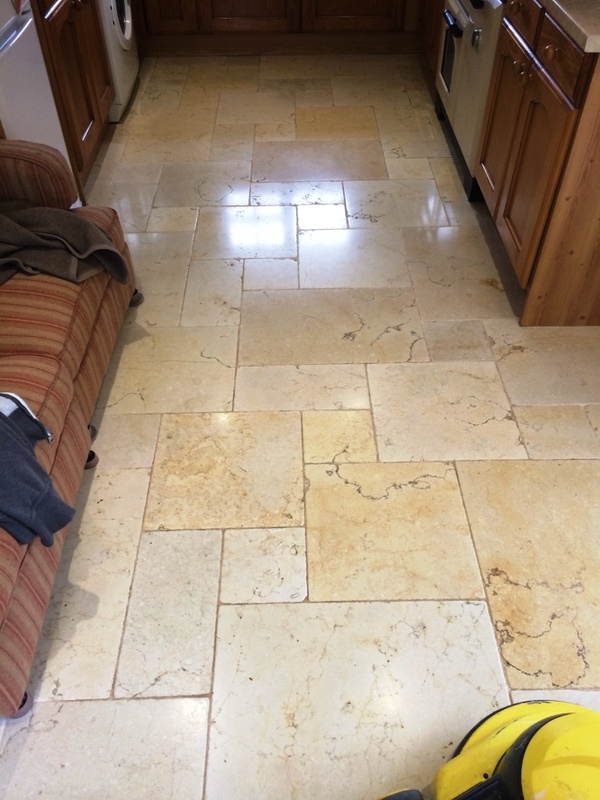 Polished stone floors will lose their shine over time depending on the amount of wear and cleaning products used and this Travertine Tiled Floor in Lower Woodrow had basically experienced this problem. The solution is to burnish the floor with diamond encrusted pads, a process that will remove any dirt and bring back the polish. 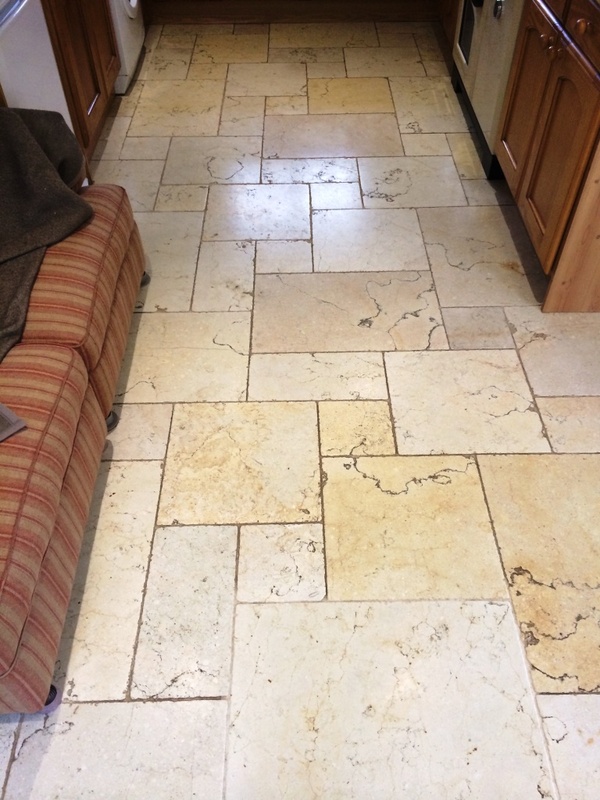 We started by smothering the floor is a mild dilution of Tile Doctor Pro-Clean and left it to dwell for ten minutes. We then scrubbed the grout lines using a stiff grout brush to get the grout clean. Next we fitted a course diamond burnishing pad to a rotary machine and slowly burnished each and every tile. We then extracted the slurry using a wet vacuum and rinsed. We continued this procedure with the medium, fine and very fine pads rinsing in-between until the shine had been restored. We then left the floor overnight to dry. Upon our return we sealed the floor using Tile Doctor Colour Grow which is an impregnating sealer that soaks into he pores of the stone protecting it from within and enhancing the natural colours in the stone. Once the seal had dried I used a white buffing pad attached to the rotary machine and buffed the travertine to a nice shine. Stuart was really professional and knowledgeable, and customer service was great, whole experience was really good. He did an excellent job on what was a challenging surface area! The floor looks brilliant, massive improvement and has come up far better than I expected. Well worth paying for such a professional high quality job. The floor looks great, and the service was quick and professional. Thankyou. efficient friendly service. sensitive to the feelings of my wife! Very good job. Left him too it to get on with it whilst we were at work. Worked very neatly. Stuart was polite and informative from the outset. I found him to be thoroughly reliable and professional. He completed the work when he said and always cleaned up very well as he performed his tasks. I would recommend him willingly.